18 students, selected as national science talents of the year, have been felicitated by the Union Human Resource Development (HRD) Minister Prakash Javadekar. 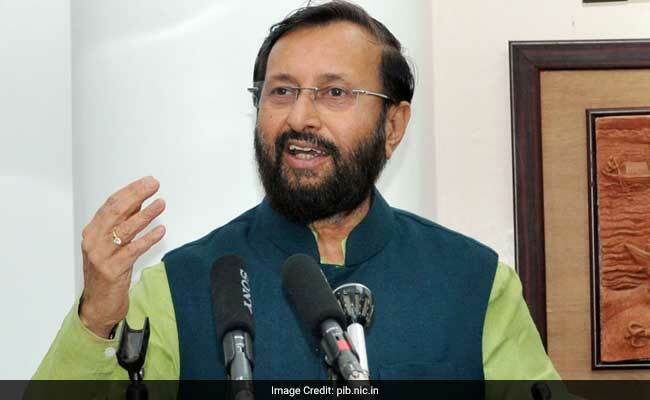 New Delhi: 18 students, selected as national science talents of the year, have been felicitated by the Union Human Resource Development (HRD) Minister Prakash Javadekar. Vijnana Bharati (VIBHA) along with Vigyan Prasar had organized the hunt for National Science Talent search for Future India Vidyarthi Vigyan Manthan (VVM). In order to evolve the interest of students for science and encourage them to opt for a career in science in future, the programme was being held in which 1.4 lakh students had participated. Addressing the students, HRD Minister advised them to follow their passion and added that, '...because unless we don't follow our passion we don't reach the destination we want in life.' Congratulating the parents of the students he urged them to motivate them for bright future ahead.